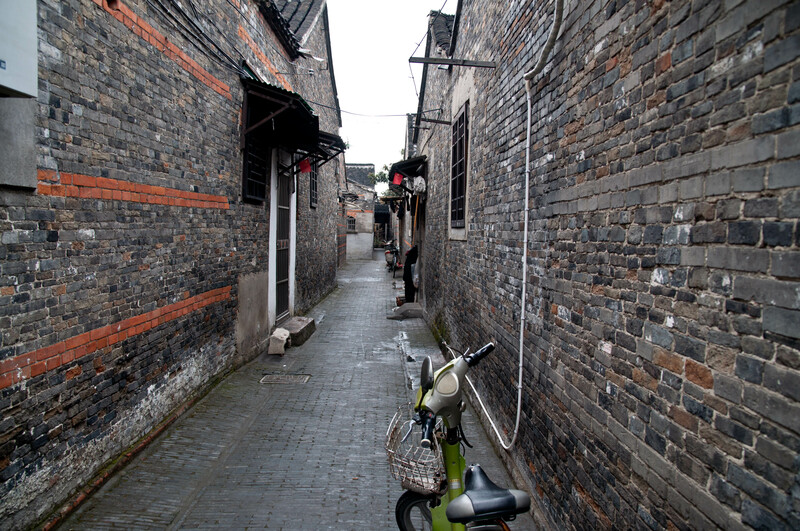 This is a series of street photos taken in Nanjing, Yangzhou, and Huai’an (Northern Jiangsu Province) in February of 2012. 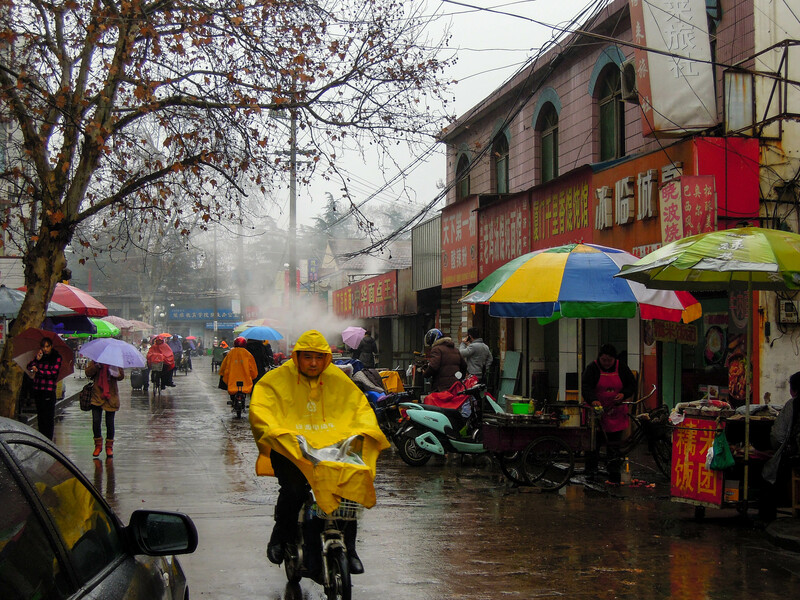 In late February and early March of this year I was in Nanjing doing some work for our language program there. I extended my stay a few days to do some food and eating research. 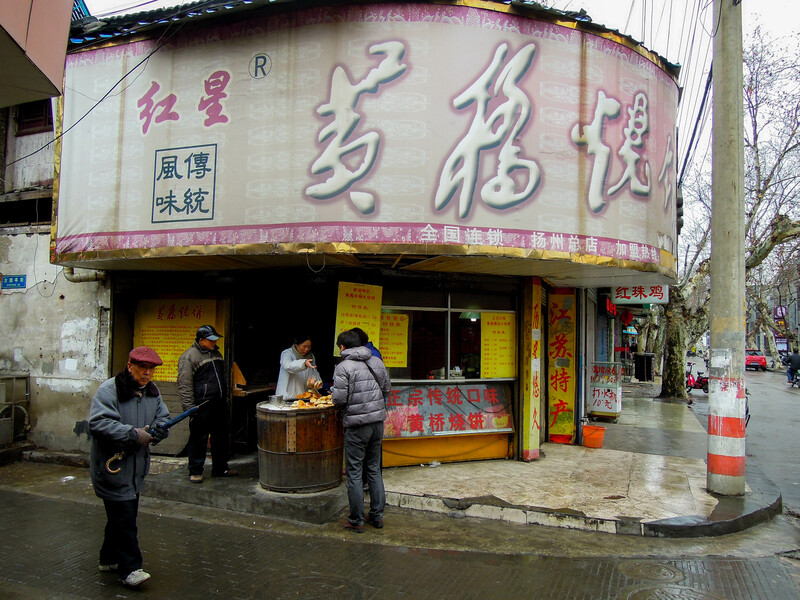 This area of China, the lower Yangtze River valley, is where you find Huaiyang Cuisine (淮扬菜 huáiyáng cài). 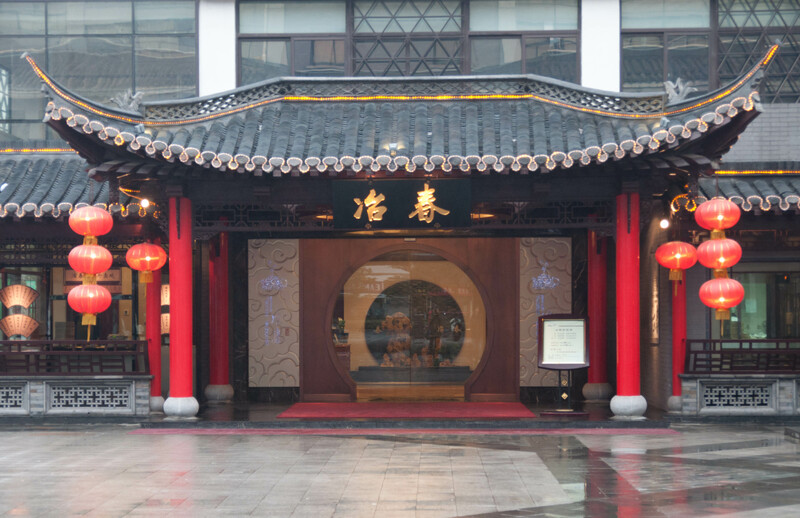 The name comes from the Yangtze and Huai Rivers. 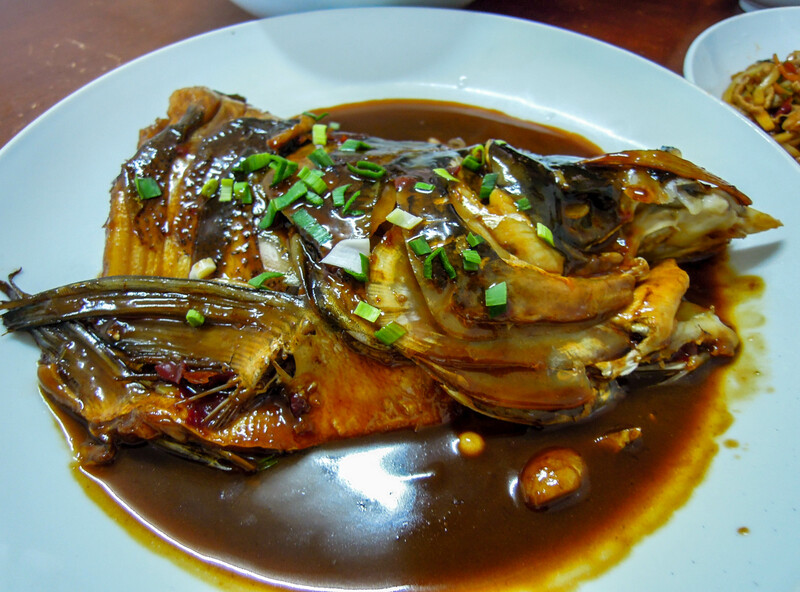 This is one of the eight major cuisines of China (八大菜系 bādà càixì). 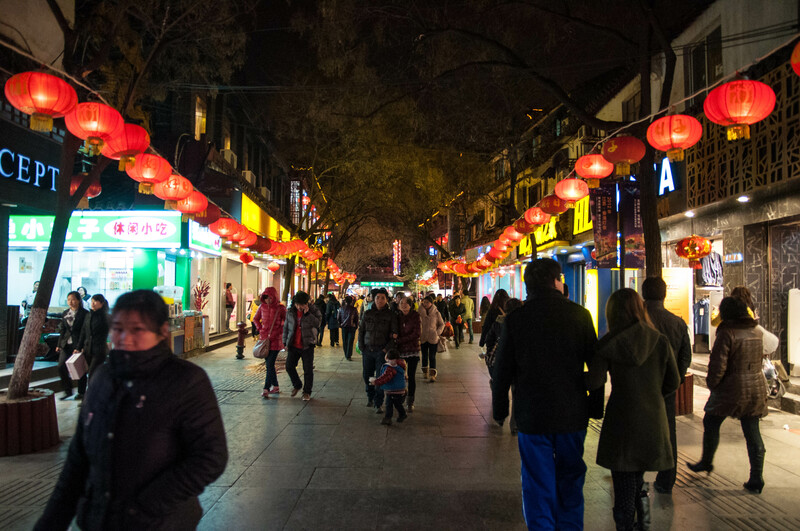 I have spent quite a bit of time in Nanjing, and have traveled to Shanghai on occasion. 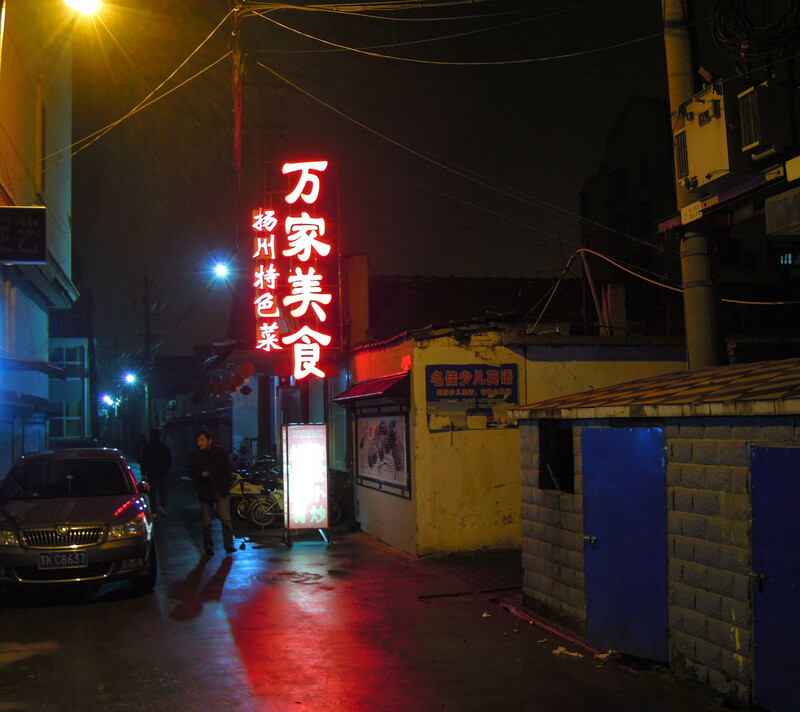 I have also been to Suzhou, Hangzhou, and Yangzhou, but I had never really explored in much depth real Huaiyang Cuisine. 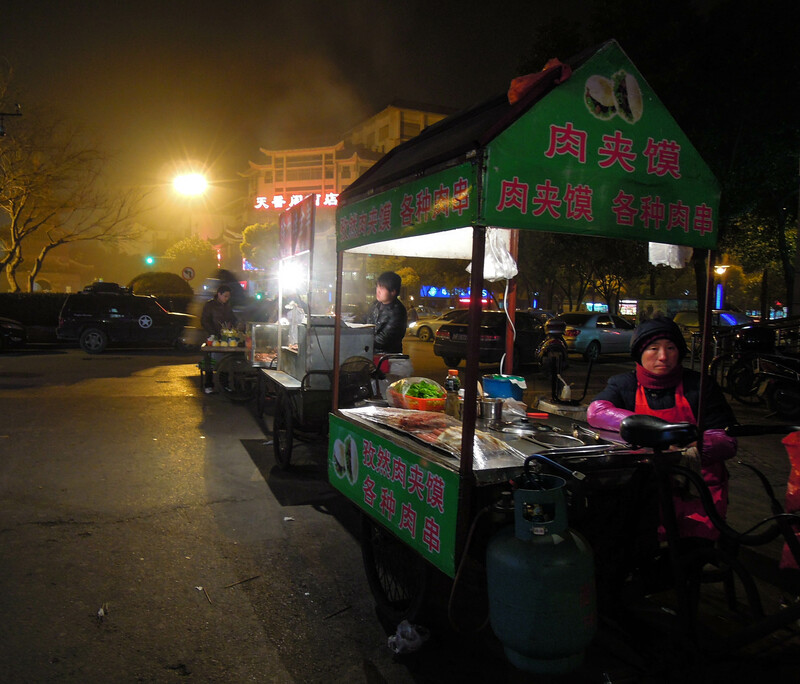 On this trip, in addition to visiting the city of Huai’an, I spent a couple days in Yangzhou, eating. I had a Chinese colleague and good friend with me. 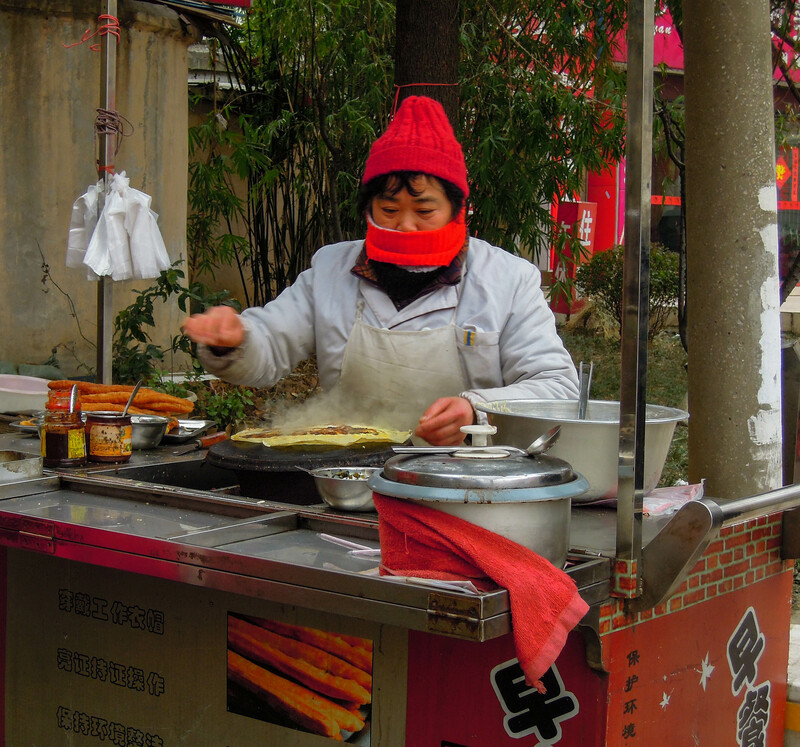 Not only is he a real Chinese foodie, but he is also very familiar with the city of Yangzhou. 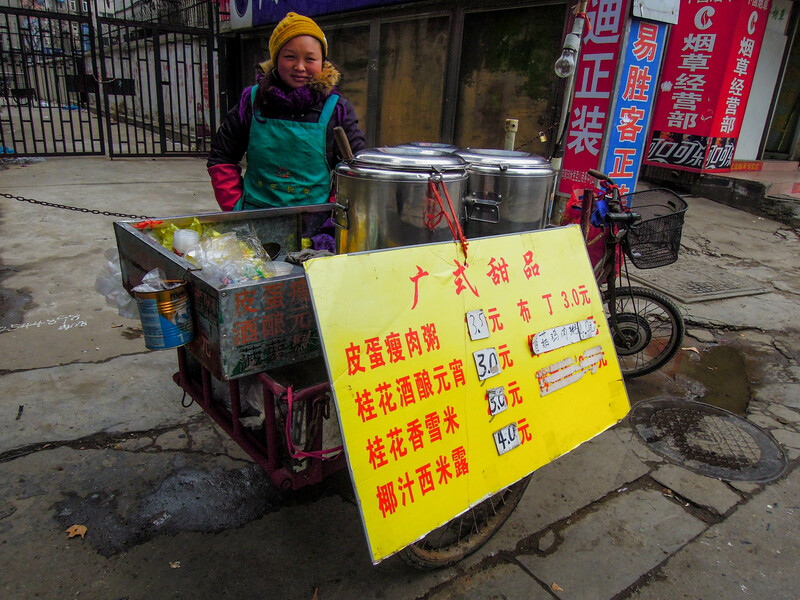 In this post I want to focus only on Yangzhou style dimsum （点心 diǎnxīn), or breakfast food. I am quite familiar with Cantonese style dimsum from my time in Hong Kong and Guangzhou. To be honest I didn’t know that dimsum (even using this term) existed outside Cantonese food (粤菜 yuècài). 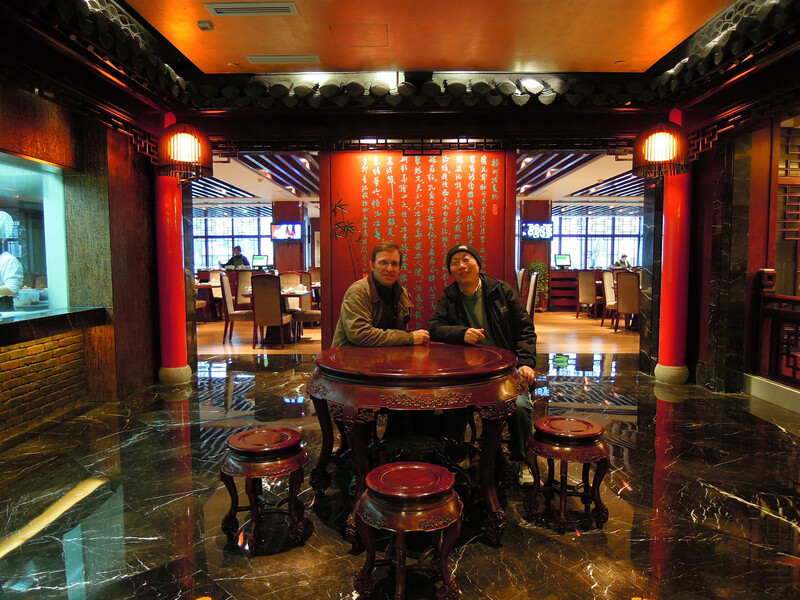 On our first morning in Yangzhou, my friend took me to probably the second most famous restaurant (at least for dimsum) in Yangzhou, 冶春茶社 yěchūn cháshè. 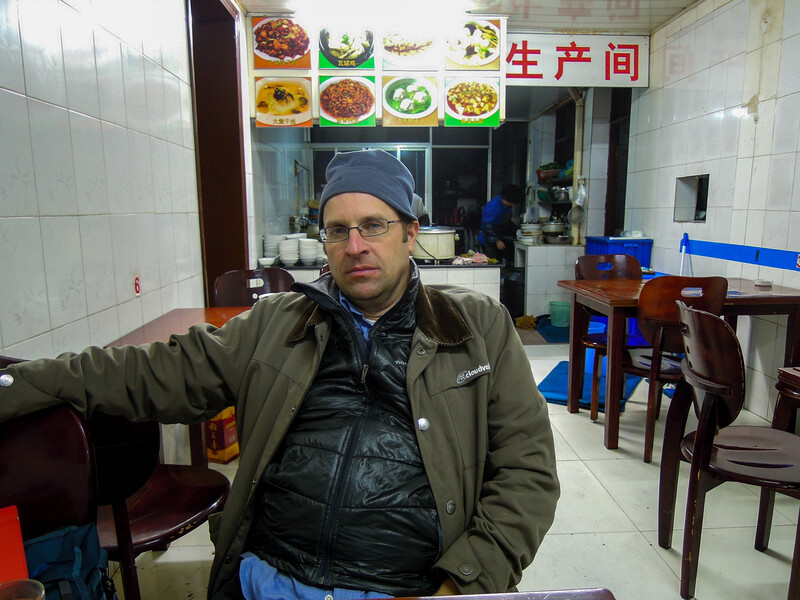 I was completely blown away, and have to rank this as one of the most spectacular meals I have eaten in China, and I have eaten countless meals in China. 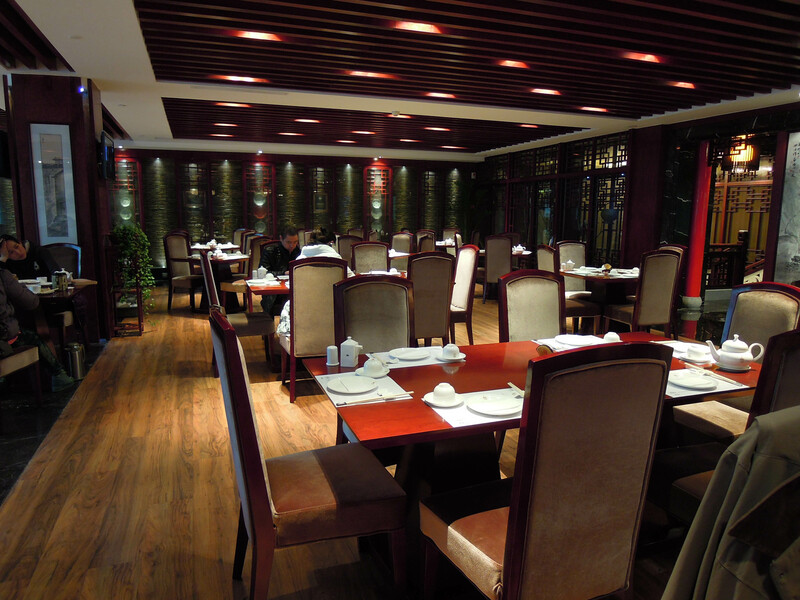 Though the restaurant has a very long history, it had been remodeled in traditional style. 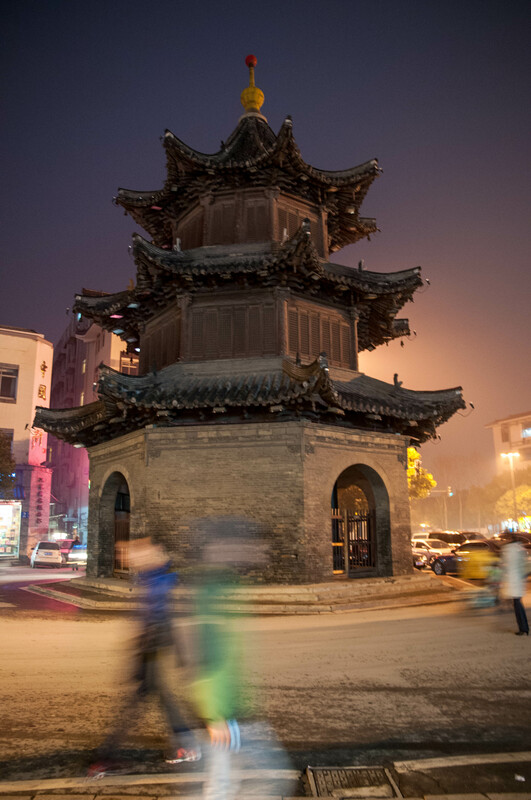 It sits on one the many canals in Yangzhou and was a favorite stop for emperors touring the Southern part of the kingdom. 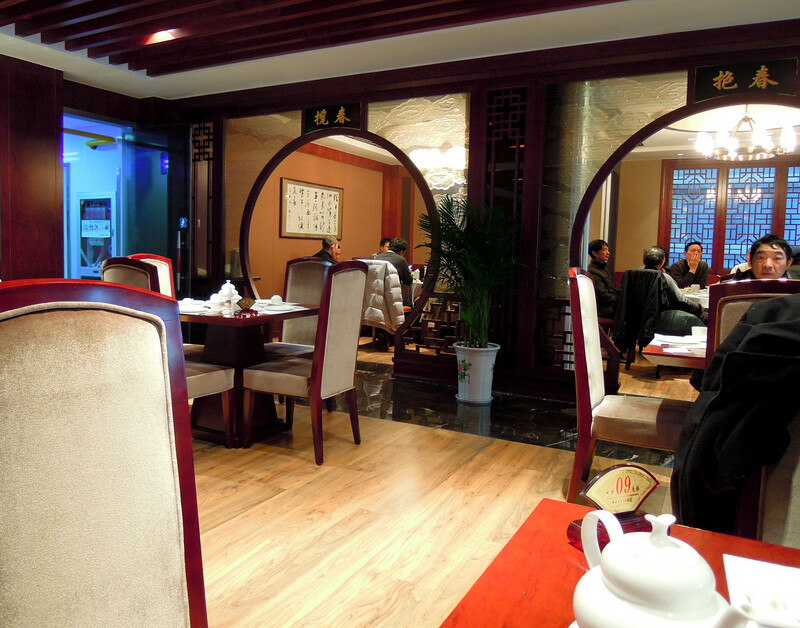 Unlike some Chinese restaurants, it was clean and very nice, bordering on swanky. We started with a couple appetizers. My mother always told me that you can tell a good restaurant by the little things like appetizers and side dishes. A good quality restaurant will spend time to make excellent little dishes, not just the main dishes. 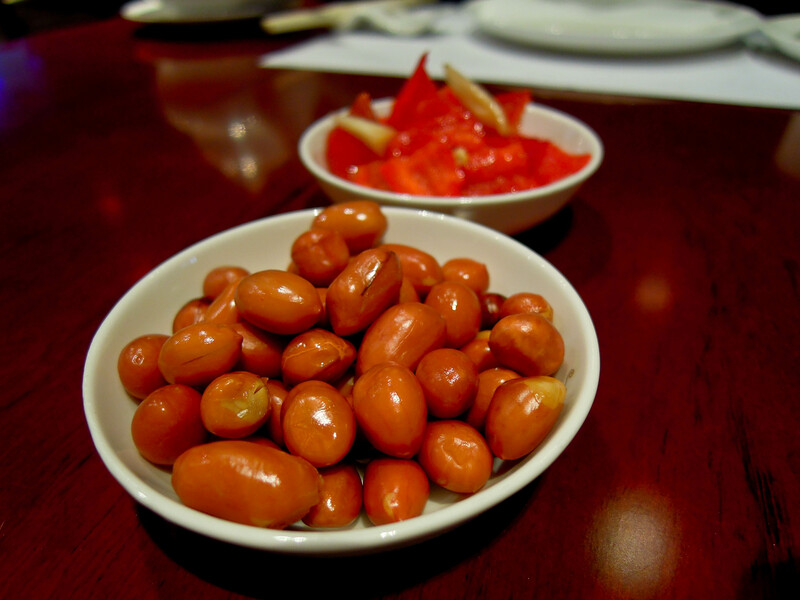 We had boiled peanuts and red peppers with garlic. The peppers had a fantastic flavor seasoned with fresh garlic and a hint of vinegar. The peanuts were crunchy, just a little salty, and had a faint hint of vinegar. 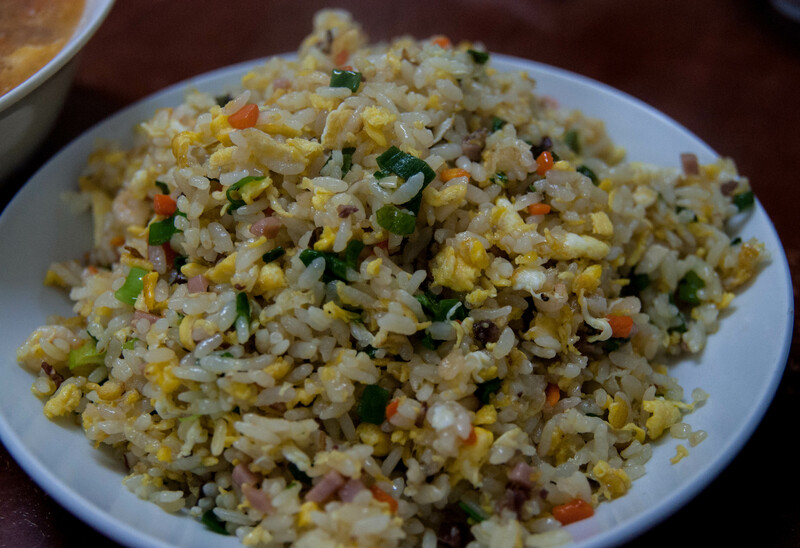 It’s hard to describe this very simple dish. Who would think eating plain old peanuts would be very good, but I assure you the Chinese have elevated the peanut to haute cuisine. The were so good we had our little appetizer dishes refilled twice. 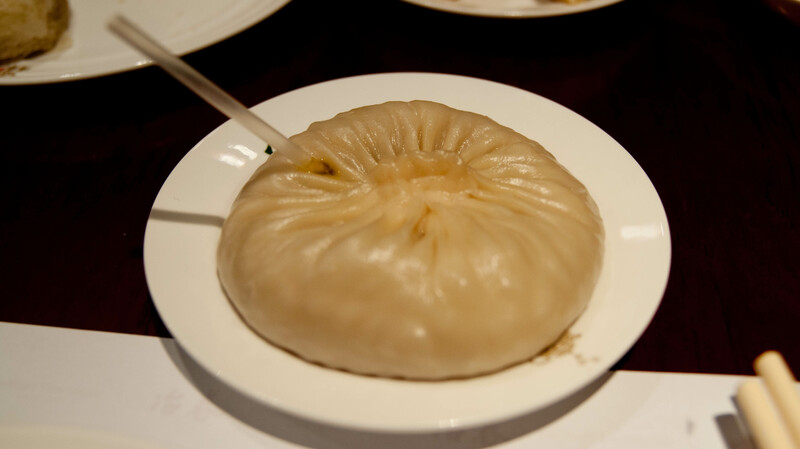 One of the first things that struck me about the dumplings were how big they were. 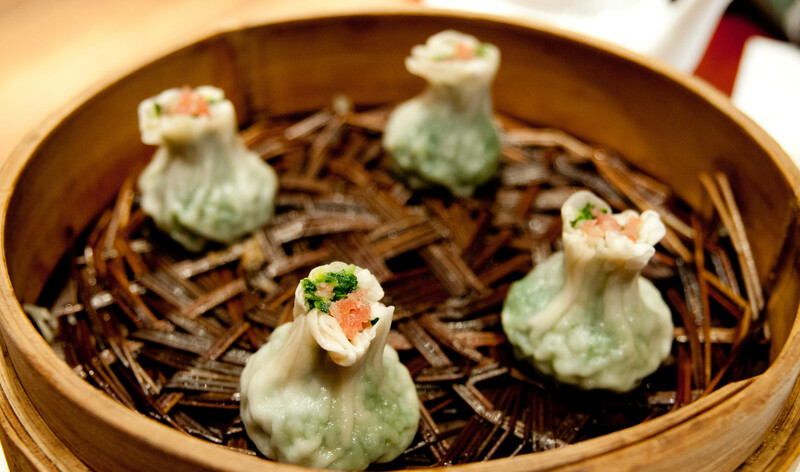 Most Cantonese dimsum dishes are quite small. The steamed jiaozi were enormous in comparison. The were freshly made right next to the dining room and were succulent and full of flavor. They had just the right amount of oil, being tender and juicy without feeling the least bit greasy. 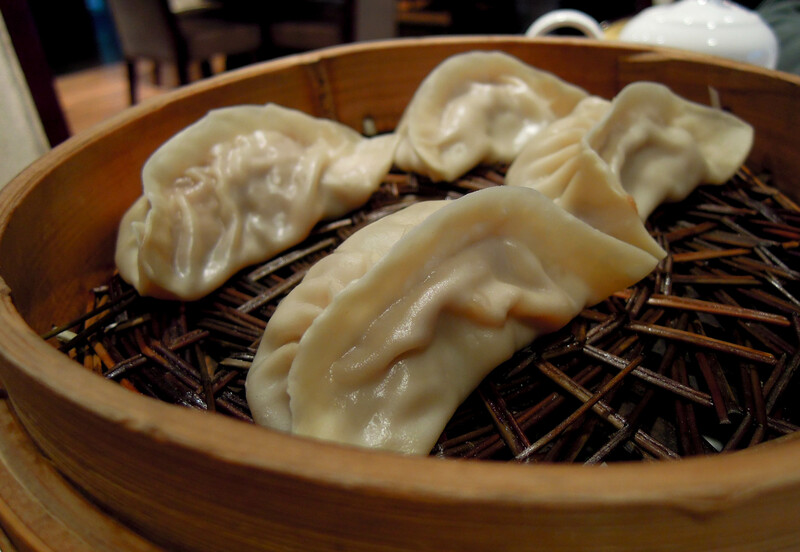 I also had a kind up dumpling that I had not eaten before, though I had heard about them. 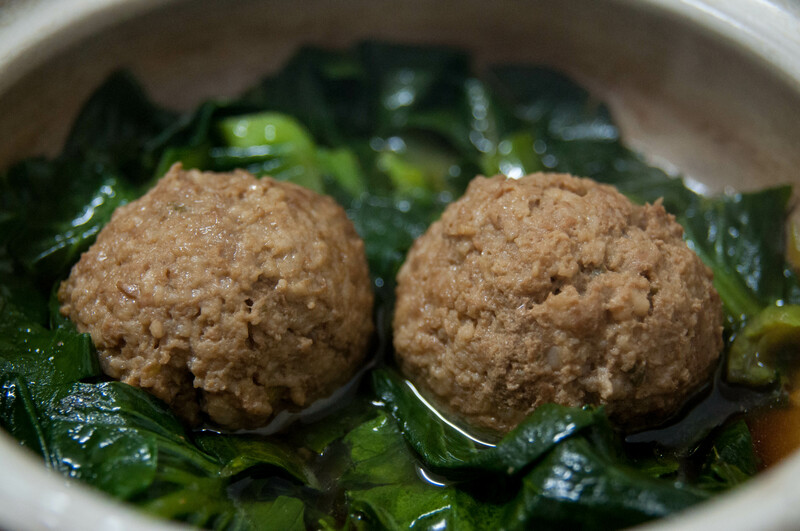 Think of a very large dumpling filled with a delicious broth and tiny bits of minced meat and you have Yangzhou style 汤包 tāngbāo. It is served with a small straw. Simply poke the straw into the dumpling and slurp out the rich, flavorful broth. Then eat the dumpling. Not only is it a creative way to serve a rich broth, it was absolutely delicious. 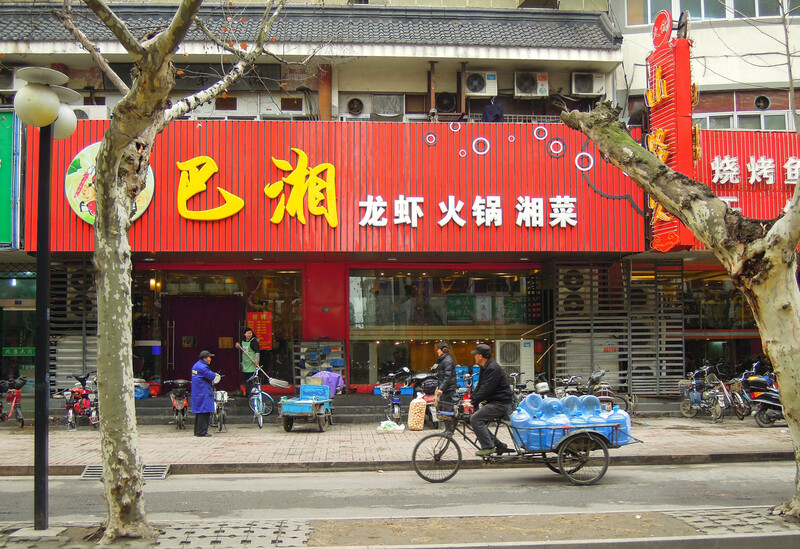 The menu name of those that we ate were called, 蟹黄汤包 xìehuáng tāngbāo. In this case it was a rich crab-based broth. 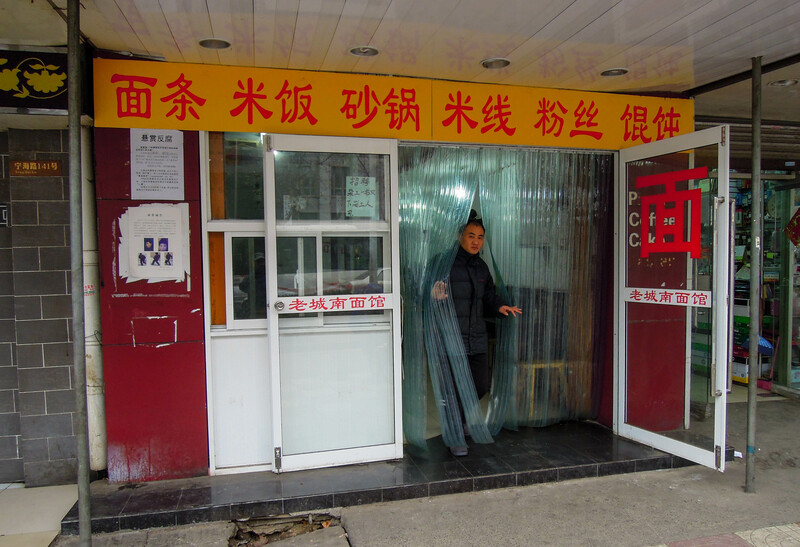 They reminded me a bit of Shanghai style 小笼包 xiǎolóngbāo. 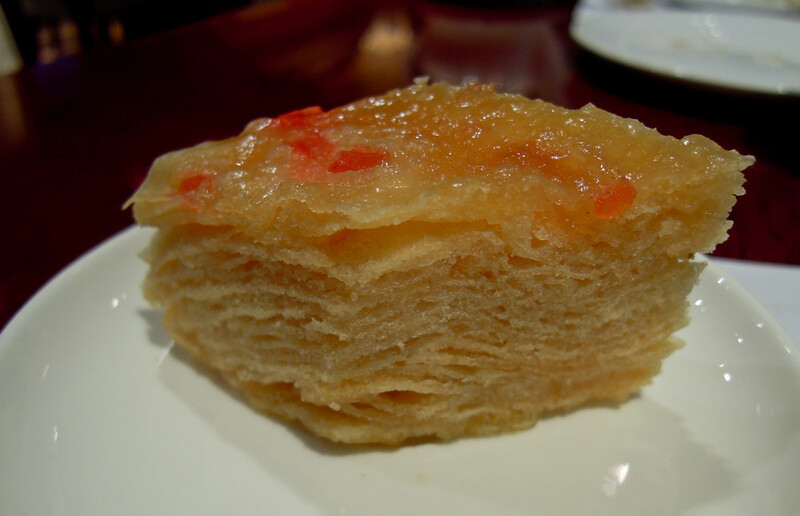 Yangzhou is famous for their pastries, though they are not much like what we call pastries in the West. 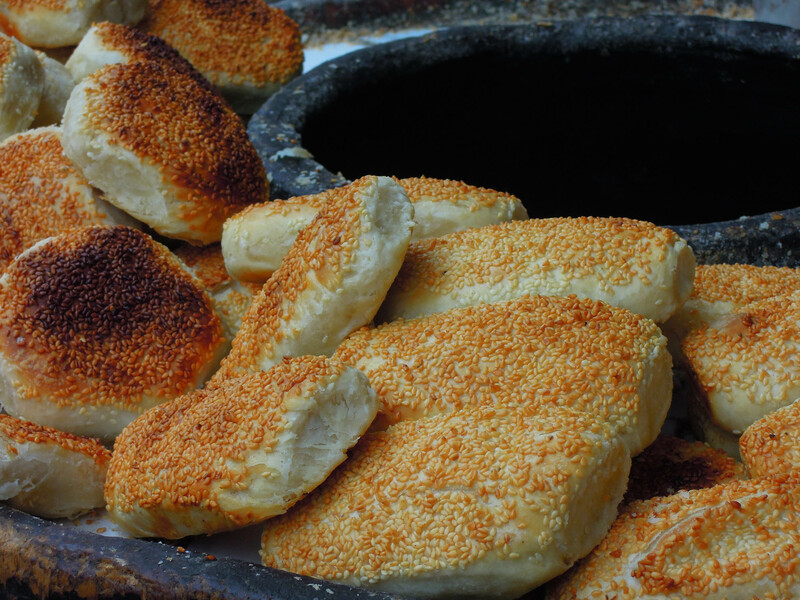 They are called 酥饼 sūbǐng and have a flaky and crispy, yet tender texture. They can be sweet or savory. 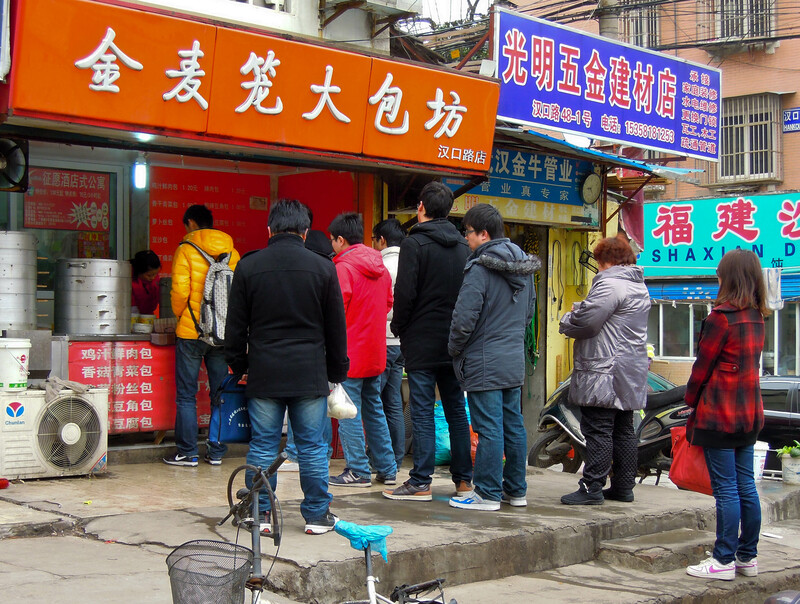 We ordered 萝卜丝酥饼 luóbosī sūbǐng or shredded carrot sūbǐng. 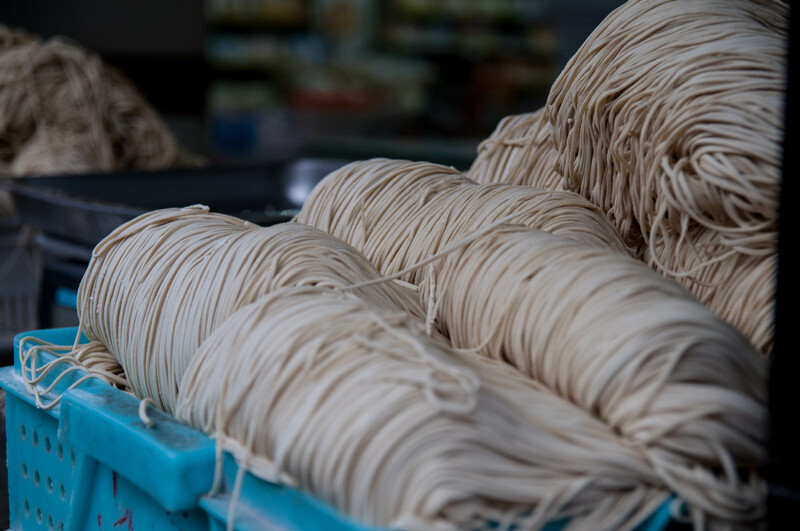 Yangzhou Subing are made with white sesame seeds on the outside, both the sweet and savory kinds. The pastry was wonderfully crispy and flaky. In addition to shredded carrots, there was also some turnips and green onion. They were addictively good. In fact each dish was so good, I would have been happy just eating more of the same. 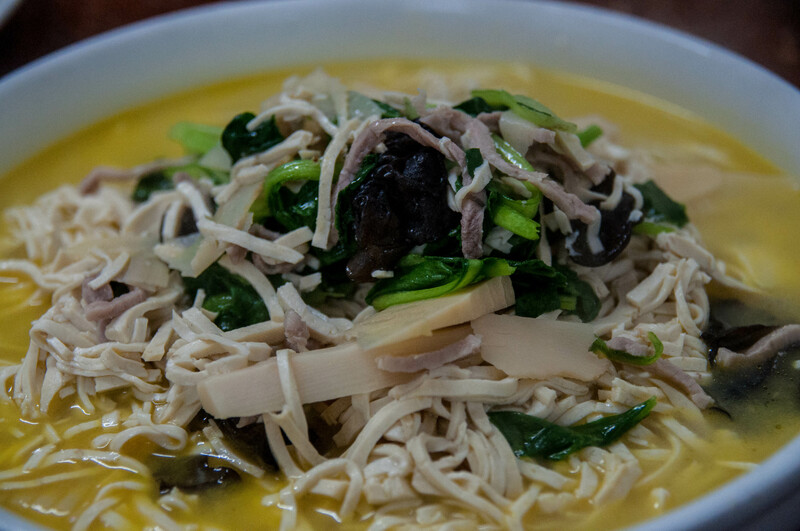 We next had a beautiful and delicious 烧麦 shāomài. 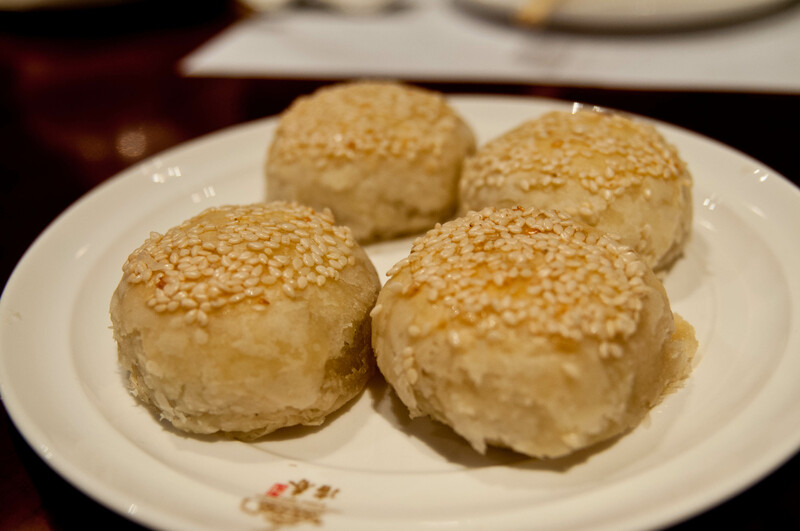 This is a common Cantonese dimsum dish, usually written as siumai. 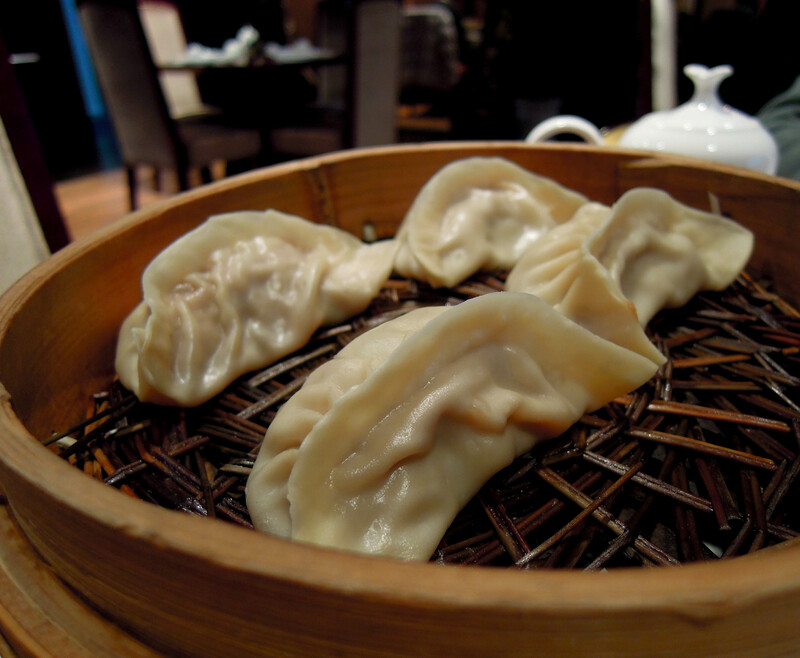 They are a stuffed steamed dumpling. 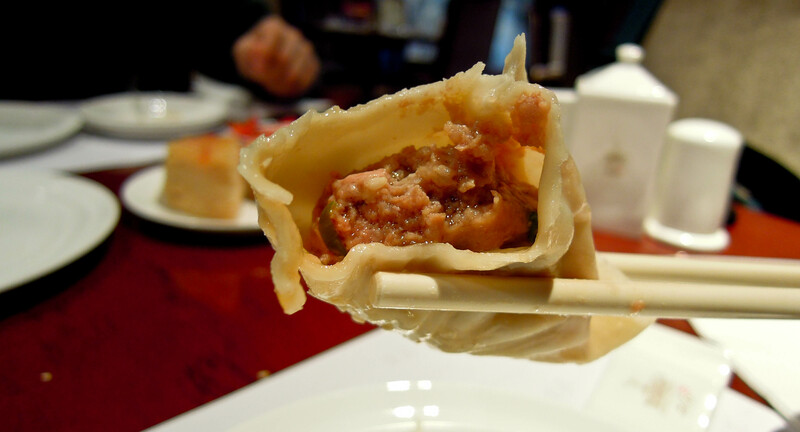 We ordered 翡翠烧麦 fěicuì shāomài, which basically means jade or emerald shaomai. 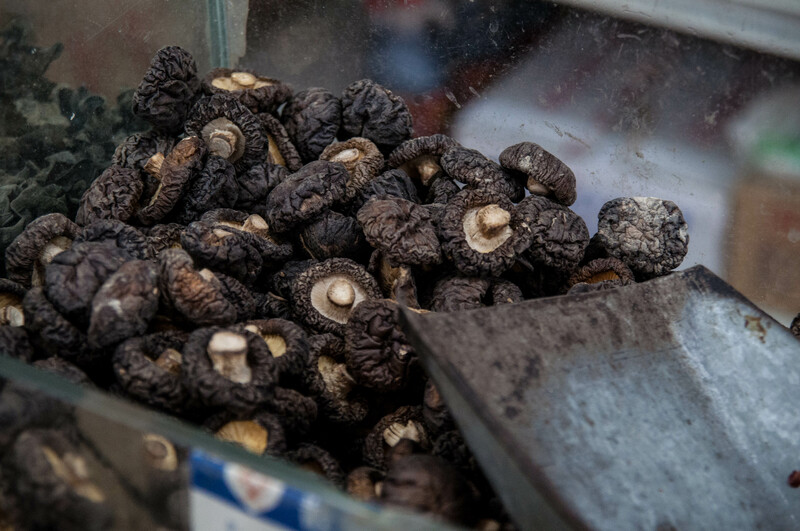 They were exquisite to look at and to eat. It was obviousl that this restaurant took great pride in using very fresh ingredients. One of the ways you can tell nicer Chinese restaurants from others is the amount of grease in the food. Crummier restaurants tend to have pretty greasy, oily dishes, but since nicer restaurants use higher quality ingredients they don’t need to hide things in a lot of oil. 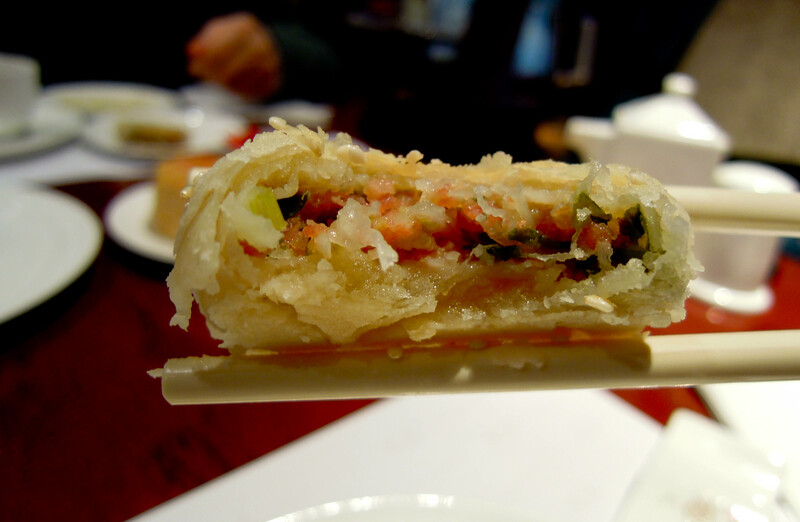 Finally, we ordered 千层油糕 qīancéng yóugāo, which was a layered cake. 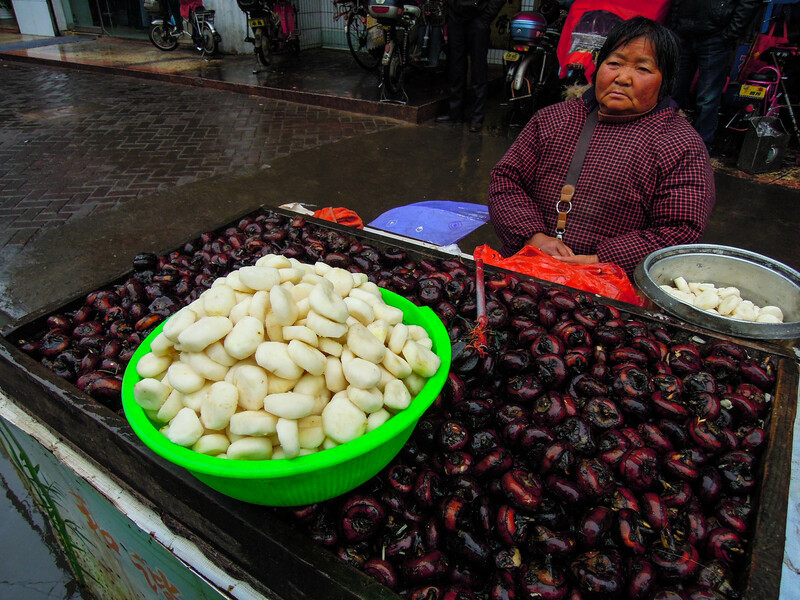 The Chinese are not too fond of sweets so their desserts tend to be much less sweet than what we are used to in the West. This was a slightly sweet layered cake, that was pretty good, as long as you were not expecting Western-cake-sweet. It was light and airy. This was truly a spectacular meal for me. 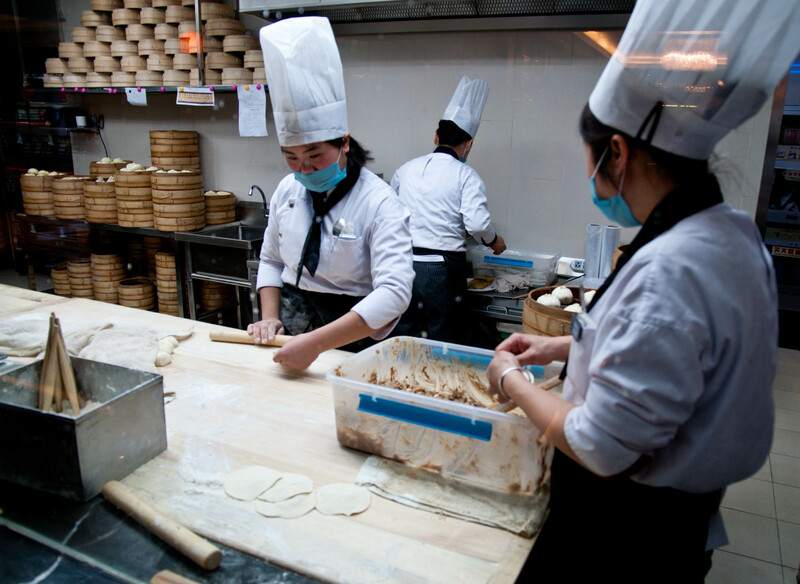 And it was a revelation to eat such wonderful dimsum outside of Hong Kong and Guangdong Province. I thoroughly enjoyed my time in Yangzhou. In fact, I loved this dimsum so much, I went to another pretty well-known restaurant by myself the next morning to try some more dishes. I was not disappointed. 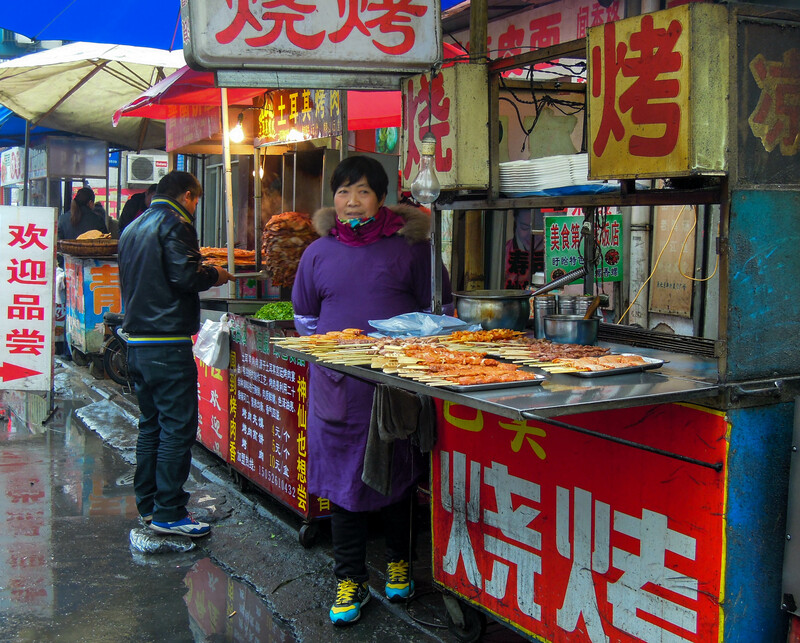 Chinese food is so varied and delicious that eating is what I most look forward to when I travel to China.